This post is dedicated to my Jones cousins who I recently connected with. 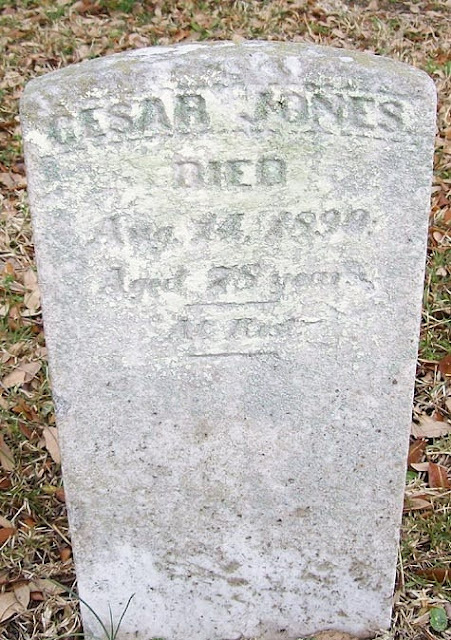 Cesar Jones and Mary Mitchel Jones were the parents of William Henry Jones and the grandparents to Oscar Dunn Jones Sr.
Cesar Jones was my 3rd great grandfather. I am descended from his son Alexander Hamilton Jones. 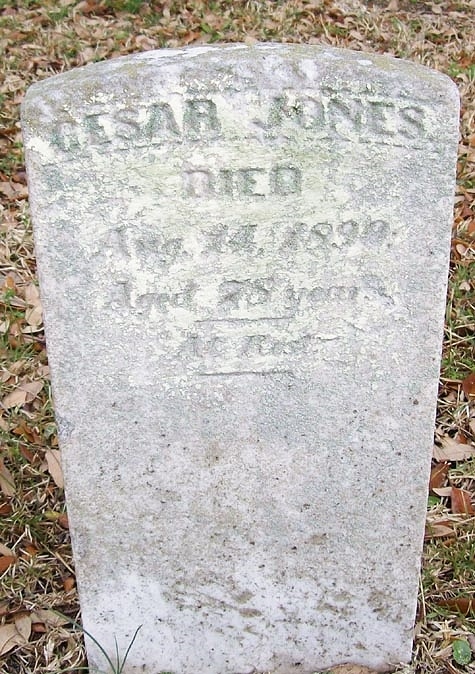 You can view a picture of my 3rd great grandmother's grave on my post Tombstone Tuesday: The Grave Of Mary Mitchel Jones. Your 3rd g-grandparents' two stones are very alike, a matched pair. I admire the inscription on the stone of Mary Mitchel Jones: "I have fought the good fight . . . " Good and noble words.